Essential Concepts Series. Musicians Institute Press. Instruction. Softcover Audio Online. 146 pages. Published by Musicians Institute Press (HL.129581). ISBN 1480394882. 9x12 inches. Donny Gruendler Essential Concepts. 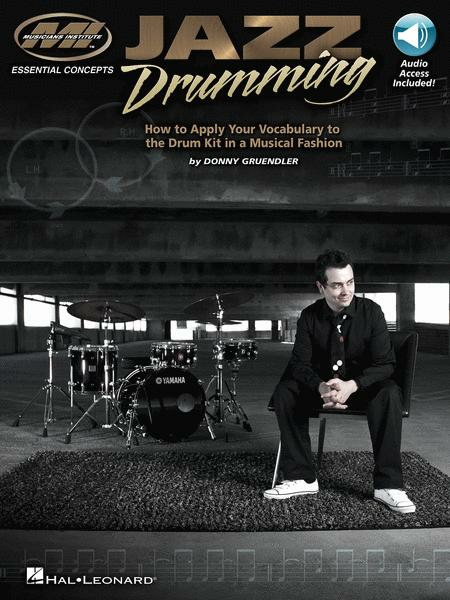 Jazz Drumming is designed to help today's rock, pop, and R&B drummer learn the jazz idiom quickly and efficiently. It is an inclusive and in-depth study of how to authentically perform alongside a rhythm section within jazz's popular styles and forms. This package includes a set of detailed charts, and each composition focuses on a particular musical form, drumset sound, solo concept, and comping approach. 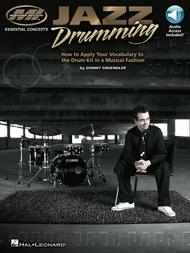 Genre relevant, drumset-based rudimental voicings, solo transcriptions, and simple brush patterns are also presented. After completing this study, the reader will be able to perform within a jazz ensemble – and sound like they belong there!